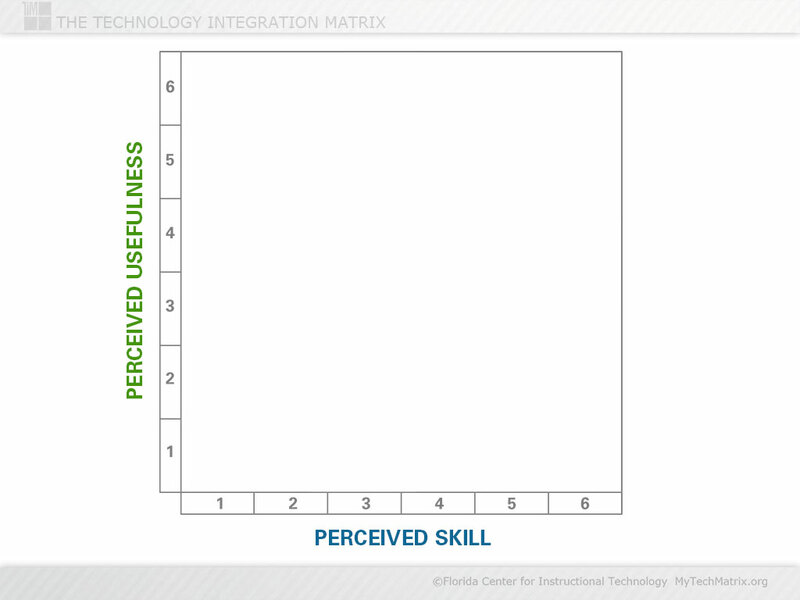 This presentation slide with axes for “perceived skill” and “usefulness” can be used to display results of the Technology Uses and Perceptions Survey. 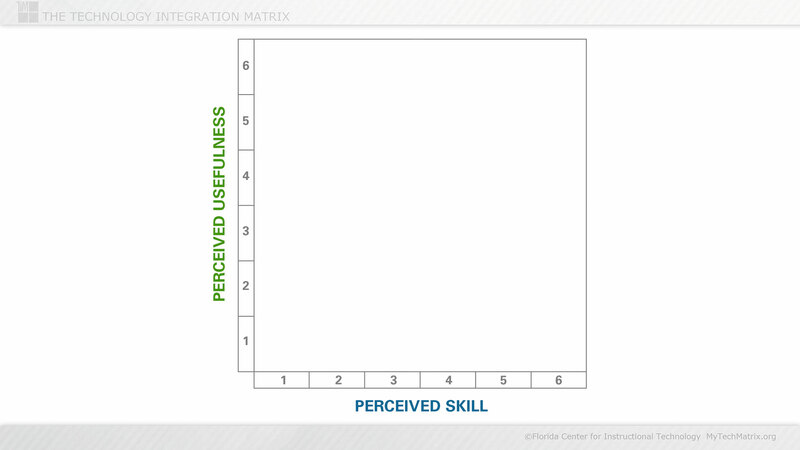 See also the “Perceived Skill and Usefulness” slide elsewhere in this section that demonstrates this graph can be used to identify which technologies identified by the TUPS require professional development and which require training. Also available elsewhere in this section as a stand-alone graphic.